Sailing Ireland have just posted the Sailing Schedule for the 2019 season. We have many exciting courses and cruises planned. We look forward to meeting and sailing with you on board Yola. Check out the Schedules page and please contact us for advice or a chat about your options. Let's make 2019 be the year that you follow your dreams of learning to sail or to getting higher qualification. We've had a huge range of weather this year (hurricanes, snow but June July has been fantastic with carribean conditions and great sailing). 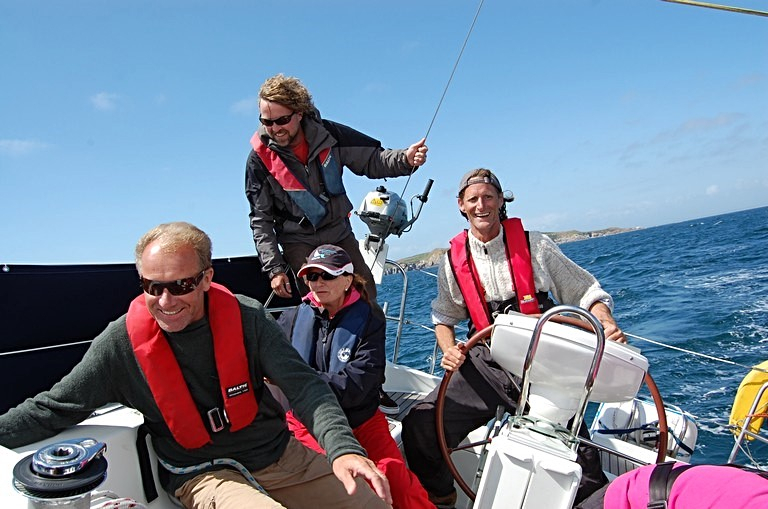 Sailing Ireland specialise in teaching adults of all ages and abilities to sail. We have some great courses and cruises planned for this season and we plan to commence in March and continue on well into October. Practical on the water courses, ICC's, VHF, Navigation and Sailing Cruises available. we will gladly discuss the best option to suit you. in a relaxed friendly atmosphere. Booking now for great instruction/holiday afloat. Night sailing, Passage Planning, Pilotage, MOBs, Confined quarter handling and more. All mileage and night hours count on your logbook. Exam arranged as immediate follow on or at a later stage. Limited numbers, examiner arranged, early booking recommended. which will tick all the boxes for your Logbook. Then again you can just chill and enjoy a wonderful sailing experience and take in the sights. The boat is also available for charter as a bareboat or skippered. we can add you to our crew list for regular updates. Learn to Sail in Ireland with Sailing Ireland, Ireland's leading sailing school for adult sailors. 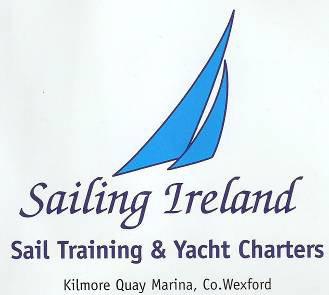 Sailing Ireland are based in Kilmore Quay, Co. Wexford. Try a Sail Taster day with Sailing Ireland, Ireland's top sailing school and yacht charter company. Saltee Islands and Ireland's South East coast. qualification, then you are on the right tack. In Sailing Ireland, we take pride in passing on our love of sailing in a relaxed enjoyable manner. Sailing Ireland sailing school take a long-term interest in all our students by offering free advice. optimum benefits from a sailing course or cruise. Sailing Ireland offers advice on the best route to further develop your new skills and we can recommend you to clubs in your area whether it's racing or short/long distance cruising which interests you. Sailing Ireland also offer a one stop shop for training in navigation theory, VHF radio and electronic navigation equipment. The large number of students who return to Sailing Ireland for follow on courses and cruises are a testament that our philosophy is correct. in the sailing industry or cruising afar on their own boats. See our testimonial section for feedback from past students and cruise trippers. on your own boat or if preferred on our sailing school boat. Mile-building cruises and Yachtmaster experience courses available. Learn to Sail with Sailing Ireland. Beginner's can start with a Try a Sail Day or a two day Introduction to Sailing. You will get to helm the boat under full sail and realise the thrill of sailing. From there you can proceed to a Competent Crew or Day Skipper Course over 5 days or split into two weekends. The Day Skipper course will arm you with all the skills and qualifications required to charter a yacht abroad. This qualification automatically entitles you to the ICC Cert for chartering abroad. Sailing Ireland is an ISA accredited sailing and yacht charter company based in Kilmore Quay, Co. Wexford. that will leave you looking forward to more time on the water. east coasts of Ireland as well as England, Wales and the Isles of Scilly. Sailing ireland offer the full ISA Cruising Scheme, Shore based Navigation, VHF Radio and ICC Certification Courses as well as beginners and improvers classes. Sailing Ireland also offers Try a Sail Days and relaxing day, weekend or week-long charters for up to eight family or friends. We can also offer some great corporate entertainment and team building opportunities. have a match racing event to encourage teamwork within your company? We have a course to suit everyone and are always available to talk through what courses or options might suit you best. (eg. berthing, Safety drills, sail trim, electronic navigation, radar etc.). Just give us a call on +353 (0) 86 171 3800 for free advice and a chat about your best options to reach your dream.